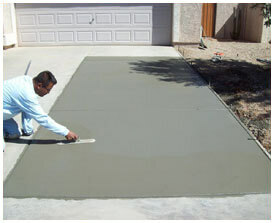 Get HD Concrete Repair In Arlington, TX For Problems. 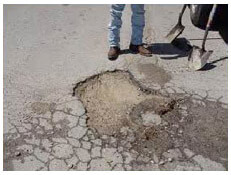 Obtain Cost Estimates For Cracks. Searching for concrete repair in DFW, Arlington, TX or surrounding areas? If so, HD can help. 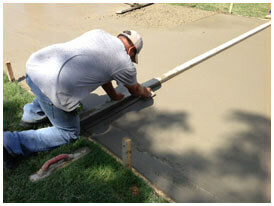 We provide concrete service all across the DFW metroplex and have five area locations. When you need resurfacing and paving or have concrete repair issues, we’re the Arlington-based company to contact. For common concrete repair problems, just phone us today. Why Concrete Repair In Arlington? The best reason to have your concrete fixed is that it preserves your property value and saves your concrete surfaces from destruction. Due to several factors, concrete areas crack all the time. There are two primary reasons that Arlington property owners need concrete repair service including: (1) expansive clay soils in this area and (2) climate conditions. When soils gain and lose volume, they move. And when the earth moves, your concrete shifts and cracks. Since the clay soils in the Arington and DFW region are strongly affected by water, it’s important to maintain a consistent moisture level around your concrete surfaces. If you need to contact a residential concrete contractor that knows how to fix concrete correctly, including concrete driveways, call HD. We repair concrete sidewalks and retaining walls in Arlington, as well as curbs, patios, decks and other surfaces. We do commercial concrete repair work, too. If you’re in the DFW or Arlington area, you’ll want to learn what concrete repair costs. You’ll find that fees are charged by the square foot. Costs for repairing all types of concrete can be less than $1,800 or more than $5,500, depending upon what concrete surface is being fixed. Large concrete areas like apartment parking lots or driveways can cost upwards of $10,000 to repair. HD’s prices for concrete service are fair and reasonable. That’s why apartment complexes and residential property owners ask us to make repairs on their concrete surfaces. It’s generally done using rebar for reinforcement. 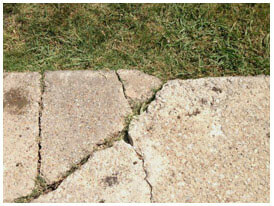 Repairing your concrete surface in Arlington or elsewhere will terminate cracking. You may want to review information on the common causes of concrete cracks. Because concrete has so many practical applications and works well for repairs, it’s used to fix cracks. Concrete is used to repair sidewalk cracks, parking lots, retaining walls and all kinds of other structures. When repairs are needed, there’s nothing better than concrete. It’s highly effective because it stops splintering and damaging cracks and that’s another reason why concrete is used wise to repair so many driveways. The quickest way to get them is fill out our online form. It only takes minute. We’ll be happy to evaluate your concrete needs. If your property needs service, we can fix your concrete surface and prevent it from expanding and stretching. You can count on us to protect your commercial, apartment or residential property. For more information, get a free concrete repair estimate in the Arlington, Fort Worth areas, or any other city in the DFW metroplex today. Or if you prefer, just phone us. Either way, we’ll be happy to stop by. So please contact us for assistance.